Sorry so late on this, sure most of you have caught wind of this Windows Phone 7 news by now, but the interface seems pretty slick! 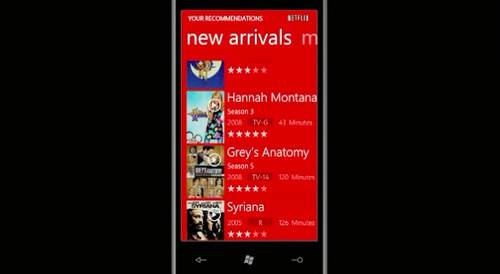 Here’s the first demo of Netflix running on Windows Phone 7. Keep in mind, it’s technically a prototype, but equipped with show subscriptions and 3G streaming, Netflix is super hot on the platform.